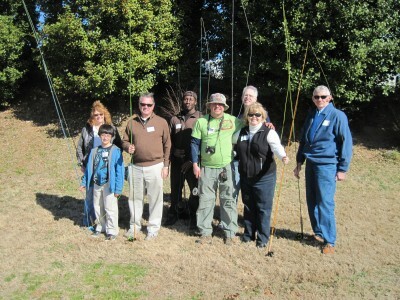 Fly fishing schools serving North Carolina since 1987 are designed for larger groups and run for two days. However, we have the flexibility to tailor them to the group’s schedule. These are common for corporate groups, large family/friend gatherings, weddings, or a mix of total strangers curious about fly fishing. Are you looking for an intensive weekend of learning on the stream? All you need to bring is a willingness to learn more about the great sport of fly fishing! You will also need a license for NC fishing regulations. We include a streamside lunch, all equipment, my fly casting book-Casting Angles, and instruction. We meet on Friday evening and conclude on Sunday around midday for the traditional school. This is a total immersion into many aspects of the sport which always includes basic stream entomology, fly tying, casting instruction, reading water, trout behavior, and on the stream tactics. The school has a minimum of 8 anglers and a max of 12 anglers. We maintain one guide per 2 people for all of the on-stream guiding. This ensures that you have plenty of opportunity for learning new things each day. Why Fish with an Independently Owned School? We pioneered a very high standard with the main emphasis on learning! We are not a retail store so we have no hidden agenda to sell merchandise like some of the schools that are 100% retail. Huge difference in the two philosophies. Some schools spend way too long casting only a pickup and lay-down cast. Great casting instructors can teach this in minutes and move onto line control casts that catch fish. Often the instant gratification fly fishers are put on still water with heavily stocked fish. The retailers bring all of the participants in for selling merchandise! That is the reality of retail operations trying to run schools. I think it is an injustice personally to the student because chances are a big percentage of new fly fishers will quit the sport because they did not learn anything for dealing with the complexities of catching fish in the wild. We have seen loads of folks that come to take our schools that had the sort of “brand” name instruction mentioned above. They were at a point of looking to another hobby due to frustration with poor results on the stream. We were fortunate to inspire them with the correct tools of what it takes to solve problems on the stream. That is what fly fishing is in reality, a problem-solving game. Mac Brown Fly Fish has the BEST certified instructors and the only Master Casting Instructor in the state of North Carolina. We love to share our knowledge of fly fishing with others to jump start their journey of what the sport entails. Anyone that says otherwise is after the instant gratification folks that do not know better but remain curious. The internet is littered with those types of pages, with comments like, “fly fishing is so easy”! If that was the case then I do not think the creel study performed by the NCWRC would yield the results it did. There are similar studies all over the country from fisheries biologist with creel and catch ratios that support very similar results. 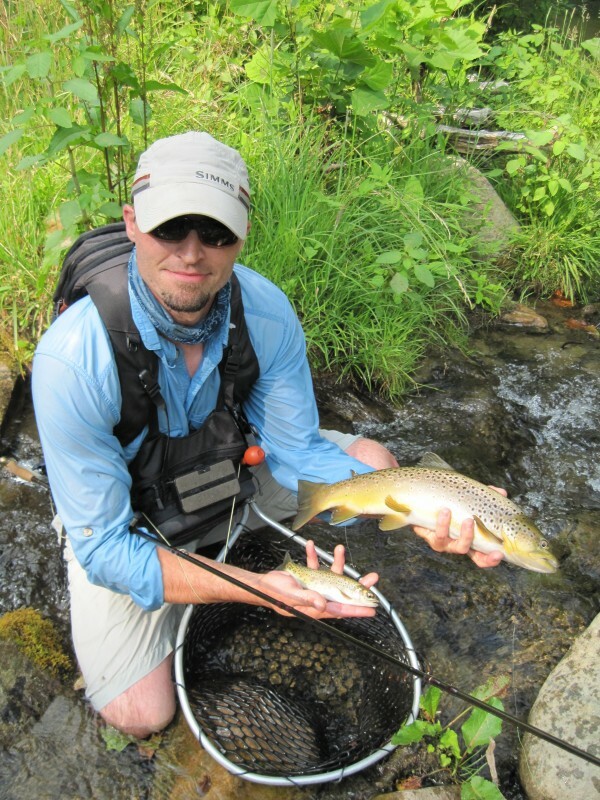 The Great Smoky Mountains provide the perfect learning opportunities for trout fishing! Bryson City, North Carolina has the most government land of anywhere on the East Coast for superb a trout fishing. We look forward to sharing our knowledge of this wonderful sport with you. We provide top of the line equipment that you will see on our sponsors‘ page. The kudos page is loaded with past folks testimonies of their experiences from the schools for over 28 years! Word of mouth from these past clients has been the best for growing our fly fishing business since 1987.